Below you’ll find a link to a chart that your family may find interesting in looking at the year together. 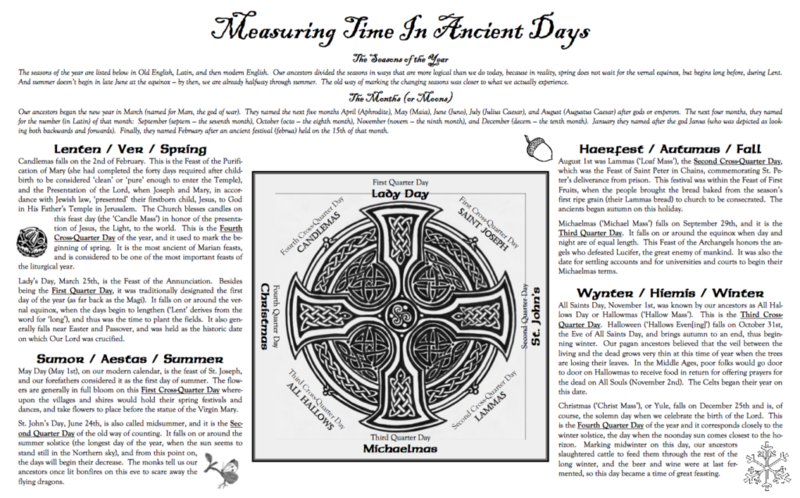 We include this on our website as a resource for education about the calendar, but also as a means to help your family build domestic traditions that are in sync with the tradition of prayer of our Church. We hope you will find this interesting.